We take the complexity out of your IT infrastructure. 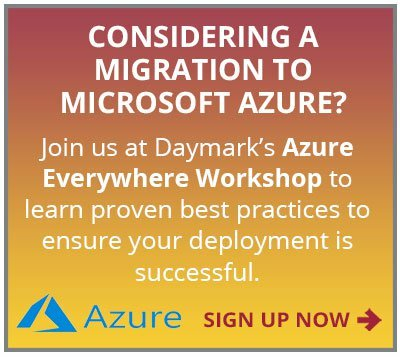 Daymark architects, sells and implements data center infrastructure, data protection, virtualization, managed services and cloud services for businesses throughout New England. We provide deep technical knowledge, extensive experience and proven methodologies that help our clients make strategic decisions, streamline the acquisition process and successfully implement cost-effective data management infrastructure solutions. Our "whiteboard to keyboard" philosophy ensures that the consultant who designs your solution remains actively involved in your implementation. We do not outsource our work, meaning you'll always have access to local Daymark resources who understand your business' unique needs and requirements. 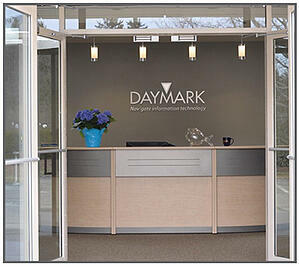 People ask us all the time, “What is a Daymark? 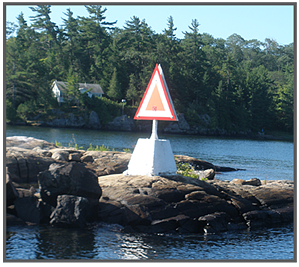 A Daymark is a navigational aid that helps provide guidance to avoid unseen obstructions and ensure safe passage. That is also the goal of Daymark, to help you navigate information technology safely and securely. Daymark’s founders, Brian and Tim, are both big boating enthusiasts. The metaphor of navigating the seas and navigating the complexities of IT seemed like a perfect fit for our company name.